Over the past decade, technology has made travel easier than ever before. Between the falling cost of air travel and the rise of websites allowing customers to complete bookings in their own time, a quick trip to another country can now be organised in minutes. Social media has also added to travel’s appeal, making sharing holiday snaps and getting tips a breeze. Beyond everyday travel, these developments have also changed how the luxury sector operates. Discerning travellers now expect a bespoke and unique experience from every trip. They expect the best customer service at every second of the day, while enjoying events and locations that are exclusive and reserved for the elite. This is all prompting profound change for the many businesses that operate within the luxury travel service space. European CEO spoke to Mazen Hamad, CEO of Alshamel Travel, about how his company is navigating this changing market and how to meet the growing needs of discerning luxury travellers. How has Kuwait’s luxury travel industry changed in recent years? In Kuwait, high-net-worth clients are already experiencing sumptuous surroundings in the world’s most exclusive hotels. 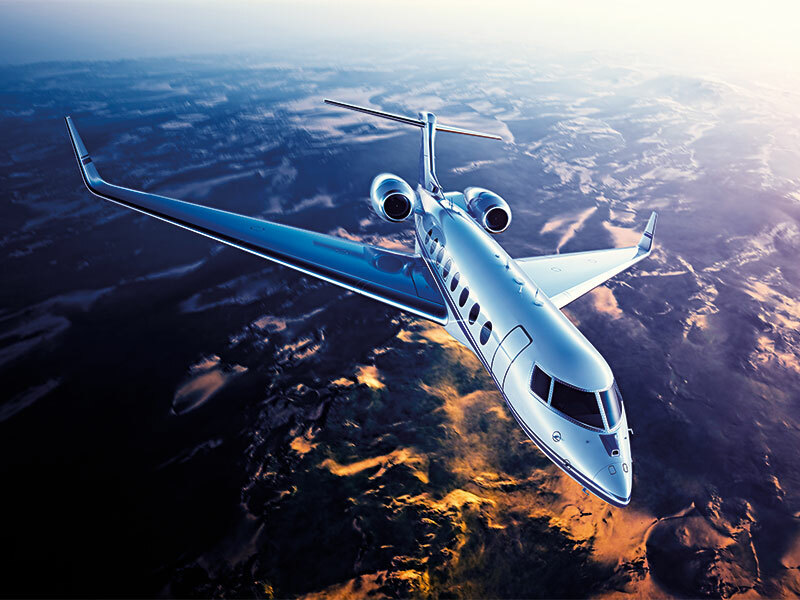 However, these travellers are also looking for more customised experiences such as private excursions, private jets or yacht charters, all while expecting end-to-end luxury service. They are looking for experiential travel, such as engaging with native cultures. Luxury wellness travel has also recently developed, which has resulted in an increased number of traditional vacations and safari breaks that include fitness, yoga and spa services, to name just a few. A luxury traveller today looks for the most desirable destinations, magnificent accommodations, convenient transport facilities and authentic, exotic experiences. In what ways has tourism infrastructure in Kuwait improved as a result? Kuwait is an outbound destination. However, the country is preparing to increase the number of tourists it welcomes. The government is actively ramping up several billion-dollar infrastructure projects that will attract new tourists, especially in the family tourism segment. This is all alongside many new cultural centres that are due to open at the end of this year. Also, Kuwait recently revealed an ambitious plan to diversify its economy beyond oil, so investment in the tourism sector is expected to increase. The Kuwait Investment Authority will expand capacity and has also now allowed foreign corporations to open their own hotels. The Four Seasons will open its first Kuwaiti hotel this year, with the Mercure Kuwait, Hilton Olympia Kuwait and a Grand Hyatt expected to follow by 2020. Infrastructure will remain a top priority, with elaborate mega-projects included as part of the New Kuwait development plan. These include Silk City, an urban area in northern Kuwait, and the ongoing development of Boubiyan Island into a container harbour and gateway commercial seaport. Why have customer expectations grown so much? I believe, along with the continuous evolution of technology, social media has affected all levels of the travel experience. The amount of information that is now available makes everyone expect more. Social media has completely changed the definition of what is ‘fast’, and has empowered customers. The online world is well and truly changing expectations of efficiency. Demand for personalisation has also grown. The whole online experience is now personalised, from social media to Google search results. It only makes sense for the customer to expect other services to be personalised as well. What impact has this had on the luxury travel industry in general? Luxury travellers are constantly searching for new experiences, while also looking for unique access to destinations. They prefer completely customised holidays and demand high-end concierge services. With consumer behaviour changing so rapidly, we need to stay up to date with customer expectations and invest in technology. While the travel agency industry has experienced some growing pains when adapting to new technology, the industry is still sound. The primary focus for most agencies has been online sales, allowing clients to book their trips without the constraints of office hours. The traditional travel agency will doubtless see further evolution as technology continues to advance, but as long as demand for luxury tailor-made travel remains, there will still be a place for travel agencies, both online and offline. Alshamel also caters to military clients; how does the company balance their needs with those of luxury travellers? They are two completely separate standalone subsidiaries with different models in terms of operation, management and focus. The service element of our luxury travel team is unique; we look into customers’ travel requirements in detail and provide them with personalised services. We constantly keep in touch with our customers before, during and after their travel, discussing their experience and looking for ways to enhance our service. Our military clients rely on professionalised service rather than personalised service. Our management information system reports provide clients with an exceptional level of detail in terms of each individual employee’s travel. What are the biggest challenges in catering for military clients, and how do you overcome them? The real challenge of managing military travel comes in the form of constantly changing travel policies, government regulations, mandated routes, pricing structures, reporting, forms, line of authority, and general bureaucracy. Since our inception, Alshamel has historically kept its finger on the pulse of trends in military and government travel. We regularly discuss changes with our military customers. Our M&G division regularly attends professional government travel development conferences in the US and in the GCC. We also maintain relationships through membership of US-based professional organisations like the Association of the US Army and the National Defence Travel Association, where top-level US Government travel officials discuss the latest issues. What are the biggest opportunities in the travel industry at present? Online booking tools are the main way customers interact with travel agencies now. They help the travellers to plan their travel in their own time and in the comfort of their family home or office. We intend to invest seriously in online services to enhance our luxury travel offerings, along with concierge services. Alongside launching new products, we are exploring the current market and where we stand. We are working to understand what is being done to attract clients, and identify gaps that exist that need addressing. What else does Alshamel have in store for the future? We will expand our luxury online business-to-consumer portal and our Luxuria luxury travel brand in the region. The latest trends in the luxury travel industry demonstrate how there has been a shift in what customers expect. As we enter the new era of luxury travel, we are facing increasing pressure to meet our clients’ expectations. We need to offer a truly bespoke, relevant, and niche service, and be able to adapt this offering when necessary. Luxury travellers want advisors, not agents; they seek specialist experts who cultivate relationships and have a deep knowledge of individual needs, who can combine the human element with innovative uses of technology.